The Unite Union and Burger King have reached a resolution in their dispute. Whilst the parties have agreed to keep the details confidential, Unite believes it’s members will be very pleased with the outcome. The resolution reached yesterday between the parties resolves the dispute over the union relationship and rights of union members. In addition the parties will work in good faith to promptly resolve any individual employee cases. In the next few days a joint union-company notice will be displayed in every store followed up by a letter to union members explaining the outcome. Unite would like to thank all the people who supported the union campaign and the many Burger King customers who passed on their support to us and to individual workers in the stores. We are confident that Burger King is committed to building a positive environment and become an employer of choice for its employees. 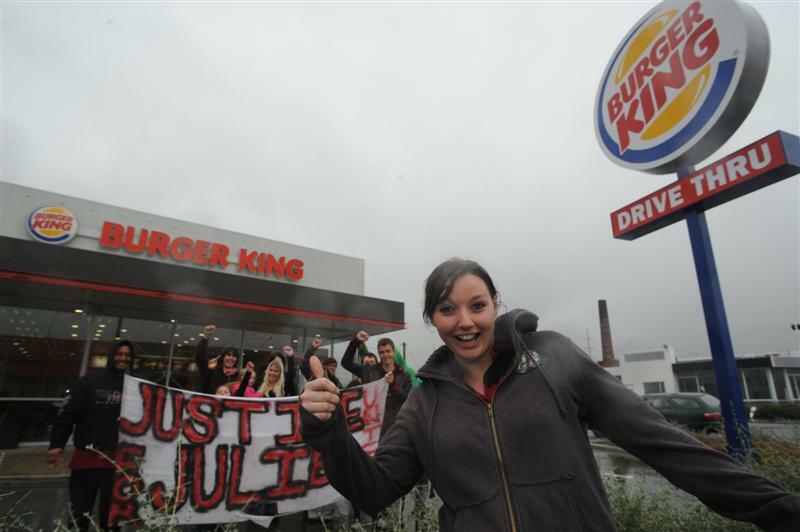 The many New Zealanders who supported our union members can now feel confident in giving their custom to Burger King. Burger King has been accused of putting its workers’ lives at risk by padlocking fire exits at its restaurants in Hawke’s Bay. Dave Burgess, a worker at the fast-food chain’s Napier store, said the gate had been padlocked for at least five years and was especially dangerous for pregnant staff and larger women who would be unable to scale a high fence that would be the only alternative escape route if fire blocked the front of the restaurant. ”If there’s a fire, we’re screwed,” he said. Unite Union said it had already intervened twice to get padlocks removed from a fire escape exit at Burger King’s Hastings store. In one instance, management told workers to jump over a two-metre gate if a fire broke out, union national director Mike Treen said. In February, a Hastings Burger King worker contacted the union complaining the manager had padlocked the fire exit gate. ”This gate is part of a two-metre fence and has a fire exit sign on it,” Treen said. ”It is the only exit from the store through the back. After Treen rang the company’s Auckland head office, the padlock was removed. The company said the issue was a misunderstanding. Earlier this month, the same worker called the union, this time complaining about the padlocked fire exit. An email was sent to head office stating that a fence that had to be climbed was not a fire escape and that employees had the right to withdraw from work if health and safety was compromised. Burger King replied saying the issue had been addressed. Yesterday the union lodged complaints with the labour division of the Business, Innovation and Employment Ministry (MoBIE) and the fire service. Burger King marketing director Rachael Allison said the company was concerned by the Napier allegations and was investigating. ”Burger King is a responsible employer that cares about its people and culture. Unite Union is accusing Burger King of repeatedly putting their workers lives at risk at its stores in the Hawkes Bay where management feel free to padlock fire escape doors. This year we have intervened twice to get padlocks removed from a fire escape exit at Burger King’s Hasting’s store. This week we discover that it has also been happening at BK Napier. On the 2 August 2012 the same member again contacted Unite to say that the Hastings BK Manager had again padlocked the fire exit gate and told crew to “Jump the gate – this is no longer a fire exit”. An email was sent to Burger King Head Office, stating that a fence that has to be climbed is not a fire escape and that employees have the right to withdraw from work if health and safety is compromised. Burger King head office came back saying the issue had been addressed. After this experience it is distressing to find that the same thing has been happening at Burger King Napier for years. The union will now be complaining to OSH and the fire department. My day job is negotiating employment agreements for workers. One of the most important claims by employers is that any information the employee gleans about the employer, or clients, must be strictly confidential and any breach of that trust grounds for immediate dismissal. Clients and staff are then able to be assured that any personal information they share with the employer will be held in confidence and not be misused. But after a regular litany of cases – such as cops going into criminal databases to check on former spouses and their new partners, immigration officers running checks for friends, and social welfare staff passing on files to mates – I don’t believe the confidentiality of any citizen’s personal information in a government department can be said to be secure. In the private sector it’s not much better. A mate spoke in confidence to his bank manager and his bank shared this information with his employer. Much more serious are events that expose a disturbing culture by those at the top misusing private information on individuals to humiliate clients or employees. It was no surprise that the ACC investigation report into information leaks found that ACC senior leadership took a cavalier approach to clients’ personal information. When they realised they had sent thousands of clients’ files to an individual claimant they did virtually nothing. When the claimant raised it with them in a meeting they seemed more obsessed in covering things up. When that failed they tried to divert attention by claiming the individual was a blackmailer. Luckily for the individual recipient she had recorded the meeting so was able to refute their spin. The report recommendations are a whitewash, prattling on about how they will be more considerate in future. Then there are the more sinister incidents. During the wharfies’ lockout early this year, a union worker commented about the Ports of Auckland treatment of its staff. His employment history was leaked to a partisan anti-union website to discredit him and frighten off any other workers who dared speak about their problems. This week, we found that some teachers had written to Education Minister Hekia Parata disagreeing with a Government policy. Parata then advised the principals and boards of trustees of the actions of their employees. Their unions say none of these teachers identified what school they taught at or raised anything about their particular school. How did Parata or her staff access these individual’s files to identify their employer? But the prize for misusing people’s confidential personal information goes to Minister for Social Development Paula Bennett. When two beneficiaries criticised the change in training allowances for sole parents, Bennett dumped their department’s files into the public arena. It was crass and thuggish. These women raised legitimate issues that affected thousands of sole parents whom this Government insists must get into training or a job. They did not deserve to have their personal information vindictively spread. Called to account, Bennett revelled in the attention. Watching her smirking and smugly saying she wouldn’t rule out doing it again was less than classless. So here’s the question: If Ministers of the Crown and senior executives publicly misuse personal information on an individual who annoys them, with the purposes of humiliating or punishing them, why aren’t they sacked? The next time I represent an employee who has used private information they had access to in their work, I’ll use Bennett’s defence. I’ll say we will accept a warning although we won’t apologise and won’t rule out doing it again. Somehow, I don’t think this strategy will save the employee’s job. That’s because there are rules for our elite and different rules for everybody else. Some other countries have this system. It’s called totalitarianism. Some Burger King employees say they have been working for up to 10 years on the minimum wage without receiving any performance or service-related pay rises. One 57-year-old worker who has worked at the fast-food chain for the past six years called it “disgusting” and “demoralising”. Another worker said he had worked for a Wellington Burger King for 10 years without a company-instigated pay rise. On April 1, when the minimum wage went up to $13.50 from $13, it is alleged many workers also lost a margin they were earning above the minimum wage. They were told they had to to earn back their right to that margin by completing “module” training. It is understood staff are being told they need to do the training in their own time. The female worker said it could take months to complete all the modules and at the end of it there was no guarantee of the pay rise. “You get the feeling the managers are all laughing at us,” she said. Another worker said when the minimum wage went up he lost his extra entitlement of 25 cents on top of the previous minimum wage. The allegations come in the wake of complaints by workers’ union Unite against the company. Burger King has applied to the Employment Relations Authority seeking an injunction to stop Unite from organising teach-ins at its stores about worker rights. Unite national director Mike Treen said about 200 people had been compelled to quit the union over the past three months with members’ hours being changed or staff told they wouldn’t be promoted if they didn’t resign. Last year, Dunedin Burger King worker Julie Tyler faced disciplinary action over a comment she wrote on a Facebook page saying the company underpaid and overworked its employees. She eventually kept her job. Burger King spokeswoman Rachel Allison said Burger King would investigate any allegation of bullying. Massey University’s Dr Bevan Catley said a number of cases involving bullying in the workplace, including allegations against staff at Burger King, Auckland Council and Building and Housing had put a spotlight on the need for tighter regulation. “There is a clear need for better information for employers about the nature of bullying, its impacts, and how to manage it. Too often good staff have no option but to quit while the bully remains protected by top management,” Catley said. Burger King says it’s a responsible employer which cares about employees. Allison said she encouraged any employee with a pay issue to lodge a formal complaint. 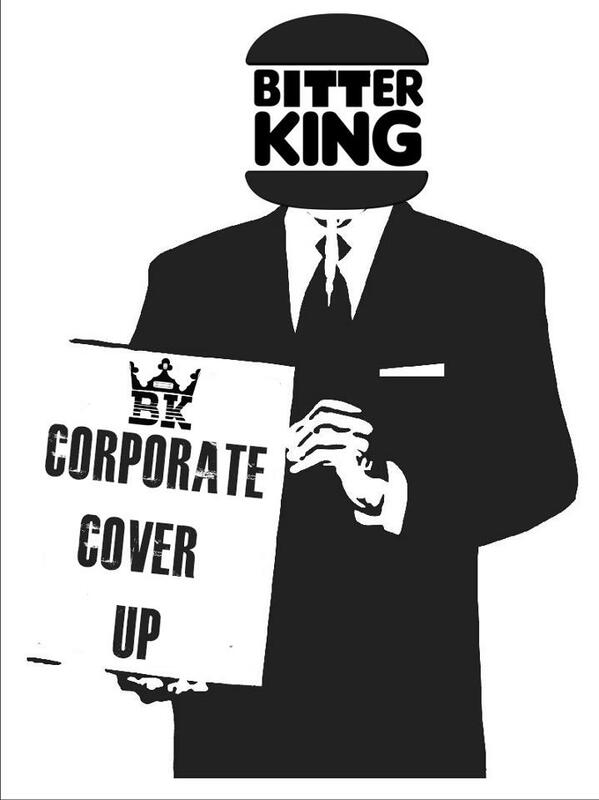 Burger King is trying to intimidate and silence its workers and the union from criticising the company. The company has applied to the Employment Relations Authority seeking an injunction to stop Unite from organising teach-ins at its stores about how the company is treating its workers. They also want to shut down the union blog from reporting on BK and its activities. They have told their staff that if any of them speak up at teach-ins outside their stores they face “serious consequences”. This instruction posted in all the stores has simply made the workers more angry. 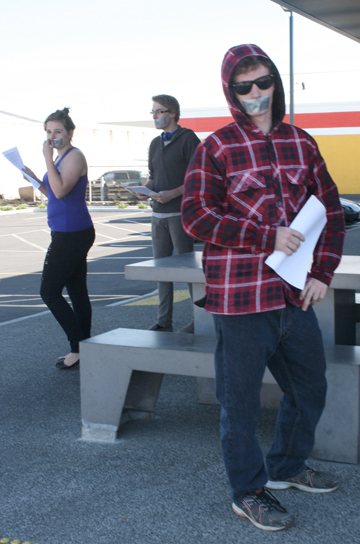 One BK worker in Blenheim has set up a facebook page to have a silent protest outside his store this Saturday. BK workers and their supporters also plan a rally in Dunedin on Saturday at 2pm at the Octagon . BK Burnside delegate Julie Tyler was threatened with dismissal last year for saying BK workers were “overworked and underpaid” on her facebook page. Unite Union now has more evidence that this entire disciplinary process was a set up by the company to try and get rid of a union delegate. 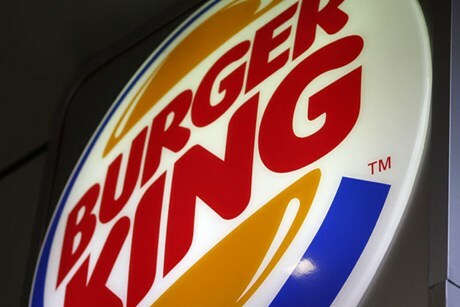 Burger King claim that the union is breaching its obligations of good faith by publicly criticising Burger King rather than use the normal channels available in an employment relationship. This is a particularly ironic statement given that the company has targeted our members and delegates precisely because they have tried to exercise their legal rights. We will pursue personal grievances and other legal action as required. But we will also hold the company up to the inspection of the court of public opinion until we have broken the climate of fear and intimidation that Burger King has tried to impose on its workers.